Tampere, 8 May 2018 – RockPulse™, a new technology and product introduced by Sandvik Mining and Rock Technology, is the first practical solution for real-time tool stress monitoring in top-hammer drilling. The add-on system integrates directly with the rock drill and its control system, and can be used for drilling process optimization in varying rock conditions. This also helps to reduce the stress fatigue of drilling tools. RockPulse™ offers significant potential to improve overall drilling performance, by as much as 5 %. Profitable rock drilling requires balancing between drilling power and cost-efficiency. While use of high drilling power is required for good performance, excessive power becomes counterproductive due to high stress levels and wear of drilling tools. Optimization of tool stress and consequently tool lifetime are essential for cost-efficient drilling operations. Conventional drilling control technologies have done this based on indirect performance indicators only, such as percussion or feed pressures. RockPulse™ analyzes each piston blow in real time to extract data on the tool stress. This enables operators to optimize drilling power and to minimize inefficient use of percussion energy. Stress waves created by piston strikes are measured continuously using sensor technology developed and patented by Sandvik. The system consists of a Sandvik shank adapter and rugged contactless sensor inside the rock drill. Stress wave signals captured by the sensor are analyzed within the Sandvik SICA control system of drill rig. The system is available for new Ranger DXi drill rigs and RD920 series rockdrills. “Our tests from real-life conditions show 5 % increase in average penetration rate, even though the percussion power was decreased by 4 %. Drill operators have additionally commented that RockPulse™ helps them to optimize bit regrinding intervals and thus boost efficiency and productivity,” says Jarno Viitaniemi, Product Manager, Surface Drilling, Sandvik Mining and Rock Technology. RockPulse™ user interface visualizes and alerts on three key parameters: drill bit response, tool load and feed level. Drill bit response helps to minimize the strain on the tools by indicating how much of the impact energy is used for breaking rock and how much is reflected back to the tool string. Tool load indicator shows the tensile stresses affecting on the tool string, which helps to avoid underfeed in weak rock and excessive wear of drilling tools. Feed level indication shows whether drilling is being done within the specified feed range – a key parameter for excellent hole quality and long tool life. 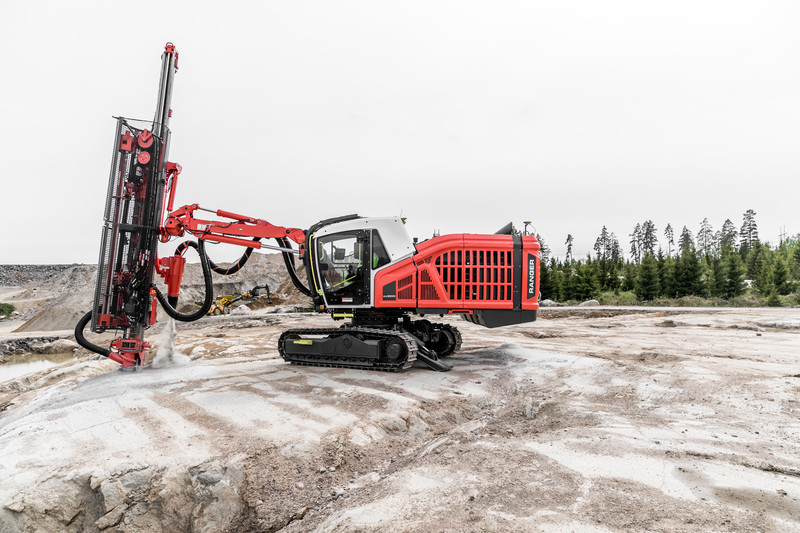 “I realize this is a bold statement, but we believe RockPulse™ is a truly groundbreaking solution that marks the beginning of a new era in top-hammer drilling,” concludes Viitaniemi.